Postmodern Realities Episode 97 - Was Hitler a Christian? MY FEELINGS AS A CHRISTIAN POINT ME TO MY LORD AND SAVIOR AS A FIGHTER. ADOLF HITLERIt is not difficult to find collections of quotes like this one, intended to prove that Adolf Hitler was a Christian. In many of his speeches and writings, Hitler referred to God or Jesus or quoted the Bible. Consequently, it is argued, Hitler must have been a believing Christian. The matter, however, is not that simple. A Muslim may refer to God or Jesus, or allude to biblical teachings, but this does not make ... See More him or her a Christian. Hitlers religious beliefs have been the source of much misinformation. Some argue that while Hitler paid lip service to Christianity, he was actually an atheist. Others argue that Hitler was an occultist. The reality is that Hitler adhered to a system of belief that may be classified as pseudo Christian and extremely heretical. 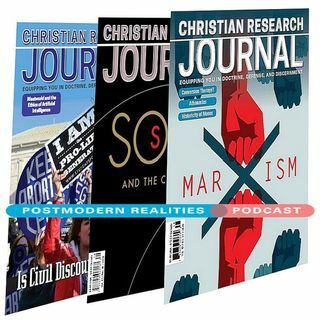 This Postmodern Realities podcast episode is a conversation with JOURNAL author J. P. Holding about his article Was Hitler a Christian?